After reading lewvaltons account of Hags Tooth and Beenkeragh Ridge I decided to give it a try. It was a beautiful day so gave Hags tooth itself a go. It is a fantastic grade 3s scramble but good scrambling experienced and a rope are essential due to the exposure (you can die on this if you fall). Some down climbing is required on the other side. 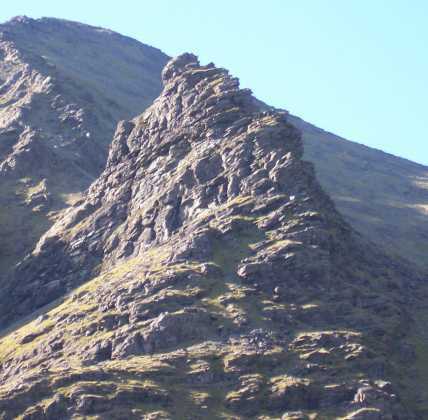 Continued to Carrauntoohill via the ridge. One of the best scrambling days I've had on the hills.